For over 80 years, BonaKemi has provided hardwood floor finishing professionals with the world's finest hardwood floor finishes. You can rely on Bona systems every step of the way for abrasives, sanding equipment, stains, sealers, finishes and cleaners that allow you to do your best work every time. Bona is the pioneer of the "Environmental Choice®" finishing system - advanced technology resulting in low VOC, safe-to-use waterborne finishes combined with dust containment sanding systems. Bona provides you and your customers with the highest quality, cleanest finishing process available. 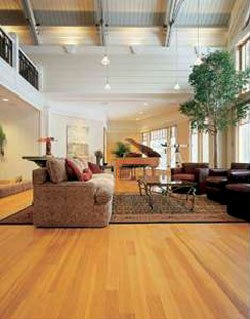 We protect your health and the environment, while assuring the ultimate in durability and beauty for hardwood floors.